Those of you receiving updates from GitHub, or in attendance at GitHub Satellite in London this week, have likely seen that GitHub has introduced GitHub Marketplace. This is very exciting for ZenHub, as we were selected as a premier launch partner and are one of the first products available on GitHub Marketplace. We’re also incredibly thrilled for the entire development community, as GitHub users now have access to best-of-breed tools, all in one place. With just a few clicks, developers can now discover and start using ZenHub much faster. 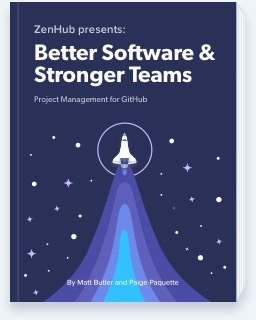 “With GitHub Marketplace, we’re creating a single destination for developers across the globe to discover and purchase the tools they need to build exceptional software,” said Joe Wadcan, GitHub’s Head of Business Development. "As one of our most valuable partners, ZenHub is now more easily discoverable by our community of 21 million developers—and that's a great thing for everyone." With the new GitHub Marketplace, you can purchase ZenHub directly through GitHub.com. That’s not to say you can’t still purchase and manage ZenHub through our website (this all stays the same!). For existing ZenHub customers, there is no action needed on your side. We’ll continue to manage your billing, and ZenHub will continue operating as it normally does. We’re very happy for GitHub and all of their exciting announcements this week, and continue to be proud GitHub partners! Our focus remains on listening to the valuable feedback we receive from ZenHub users every day, and we’re working on something really special that we can’t wait to show you in a few months time. Have any questions about ZenHub on GitHub Marketplace? For this or anything else, we’d be happy to hear from you on Twitter or email us directly.